Pak ISI's hand in failed plot to assassinate Bangladesh PM Hasina! Pak ISI’s hand in failed plot to assassinate Bangladesh PM Hasina! Pakistan’s ISI allegedly made a plot to assassinate Bangladeshi Prime Minister Sheikh Hasina and her family members along with top leaders of the ruling Awami League ahead of the recently-concluded parliamentary polls which was foiled, claimed sources from Dhaka. The parliamentary polls in Bangladesh were held on December 30 last year. According to an Economic Times report, Bangladesh government with support from friendly partners had stumbled upon an alleged plan by Pakistan’s ISI to smuggle a huge cache of arms to carry out the operation that was planned ahead of the parliamentary polls, said the sources. 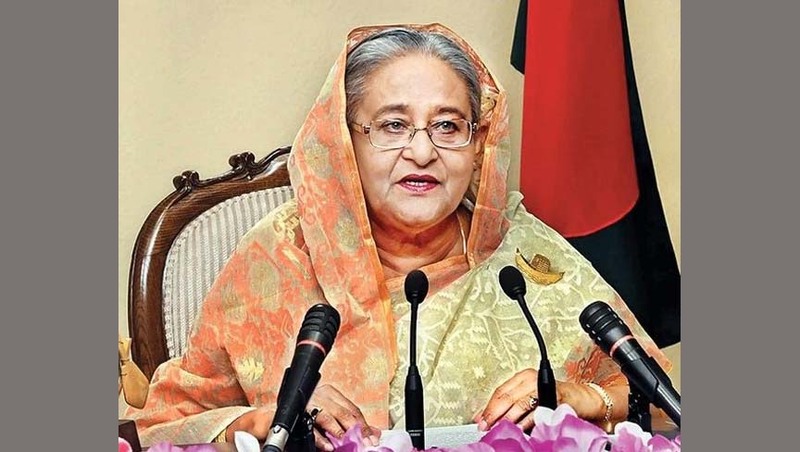 It may be mentioned that Awami League led by Sheikh Hasina returned to power for the third consecutive term with a thumping majority in the polls. It has been reported that Lt. General Navid Moktar from ISI is believed to have played a big role in the ‘failed’ plot, where several ISI agents apart from some members of the Bangladesh Navy and Coast Guard were involved, sources further claimed. However, it is not yet known if the pro-Pakistan radical group Jamaat-e-Islami had a role in this assassination bid. A ship, carrying AK-47 rifles, carbines and grenades under a Greek flag, was planning to enter a Bangladesh port ahead of December 30 (which reminds the 2004 ten truck arms smuggling case when BNP was in power) but the ship had sunken mid-way, the sources said. It has been reported that BNP leader and son of former Bangladesh Prime Minister, Tarique Rahman, currently exiled in London, and Pakistan High Commission in Dhaka allegedly collaborated in this plot. Some local BNP leaders were unaware of the conspiracy, claimed another source from Dhaka.